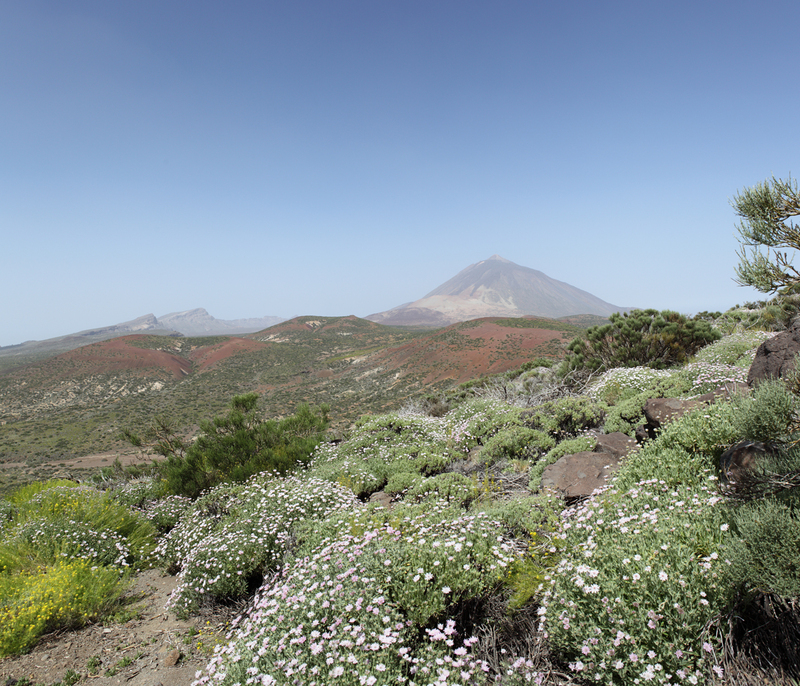 The 10-frame panorama above shows the view from the Teide Observatories site on Tenerife Island (Canary Islands, Spain). At an altitude of 7,841 ft (2,390 m), it’s generally above the cloud level, as it was this June day, making this an exceptional site for astronomers and especially solar imagers. The surface rock here is volcanic, primarily pumice and obsidian. I was on Tenerife attending the Starmus Festival -- an astronomy and musical and festival. Astronomy and music have always been closely intertwined. Part of the link in Starmus was Garik Israelian's discovery of sound oscillations in stars. Notable attendees of Starmus included astronaut Neil Armstrong and cosmonaut Alexei Leonov. On the final evening there was a concert by Tangerine Dream and a guest appearance by astrophysicist/guitarist Brian May. Because we had the worst Saharan dust storm thus far this year, the observing during our star party was less than stellar – not any better than my own observatory in England. Photo taken in June 2011. Click here to see another photo taken from the Teide Observatories. Photo Details: Canon 5D MkII camera; 50 mm prime lens; panorama stitched using PTGui software.